The most difficult thing about living 1,220 miles away from Walt Disney World is that we can’t pop in on the resort every time something new is introduced. 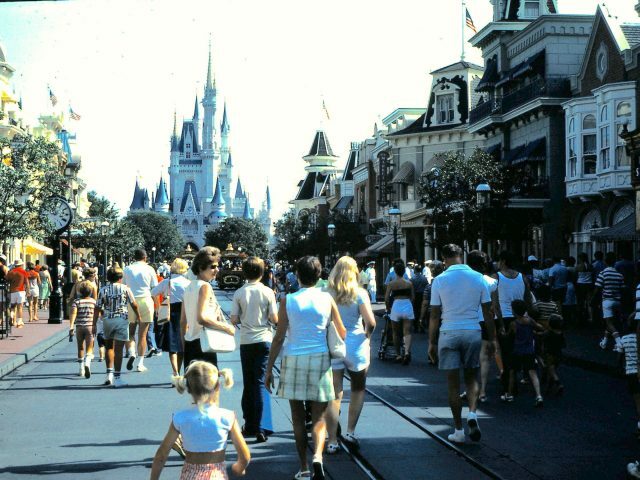 It’s kind of the reason we created Main Street Pop In so that we can vicariously visit Disney any time we want. Hoop-Dee-Doo Musical Revue – A vaudeville show, all-you-can-eat fried chicken and strawberry shortcake, and the chance to see your spouse on stage in a tutu. What’s not to love about Hoop-Dee-Doo? The dinner show takes place three times per night at the Fort Wilderness Resort campsites. Reserve tickets in advance. Kids cost between $38-$43 dollars and adults $64-$72. Na’vi River Journey – Open about a year now, the Na’vi River Journey is one of two new attractions at Pandora—The World of Avatar in Animal Kingdom. This attraction is said to have an amazing Audio-Animatronic and really long line. Get a FastPass if you can. 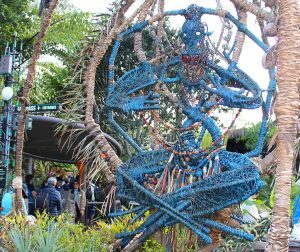 Avatar Flight of Passage – The other new attraction at Pandora. This exciting simulator ride on the back of a banshee is the hottest ticket in town. Make sure you get a FastPass for this one. If you choose the standby line, expect to wait at least two hours. Mariachi Cobre – Grab some guacamole or a margarita and enjoy these traditional folk music performers outside the Mexico Pavilion at Epcot’s World Showcase. They perform every 45 minutes from 11:30 to 4:15 p.m. 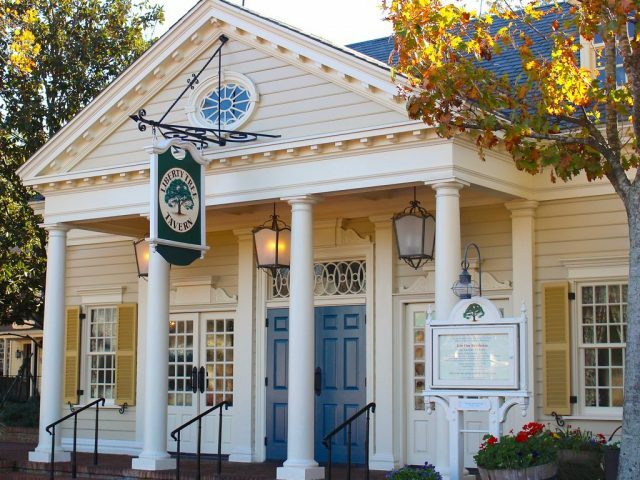 The Muppets Present…Great Moments in American History – You may not want to see this if you’re about to take a citizenship test, but if you love The Muppets, you’ll love this addition to Liberty Square. Check the Magic Kingdom’s daily times guide for show times. 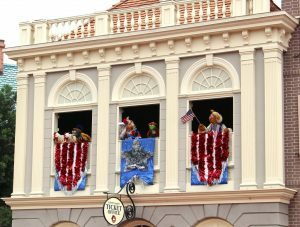 Be there when The Muppets take over Liberty Square. Honorable Mentions: Beauty And The Beast-Live On Stage, the Norway Vikings, and School Bread. Liberty Square Riverboat – The Magic Kingdom’s steam-powered paddle boat in Liberty Square takes guests on a half-mile trip around Tom Sawyer’s Island. The unique views make it a favorite for photographers. Stave Church Gallery – Located in the Norway Pavilion in Epcot’s World Showcase, the gallery currently features an exhibit called, Gods of the Vikings. Inside, guests have the chance to see historical items straight from Norway and learn about the Norse gods, Odin, Thor, Loki, and Freya. Monsieur Paul – This gourmet restaurant is located in the France Pavilion in Epcot’s World Showcase. The menu features dishes such as Escargots (in puff pastry), Bar Noir Ecailles de Pommes de Terre (Black Sea Bass in Potato Scales), Poitrine de Porc Braisee (braised pork belly), and Le Moelleux (almond cake with raspberry coulis, hazelnut, and ice cream). Tiffins – Another fine dining experience in Disney’s Animal Kingdom. Located on Discovery Island, Tiffins offers African, Asian, and Latin Cuisine. It is here foodies can get charred octopus, Wagyu Eye of Rib-Eye, and Guava Mousse. Yorkshire County Fish Shop – Fish & Chips and Bass Ale or Harp Lager are the offerings at this highly recommended quick service kiosk in Epcot’s United Kingdom Pavilion. Honorable Mentions: Behind the Seeds Tour, BaseLine Tap House, Sanna’s Coffee Bar, and the Nomad Lounge. The Polynesian food is a unique treat. 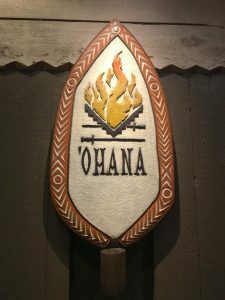 ‘Ohana – A coveted reservation at the Polynesian Resort, ‘Ohana serves family style so it’s all you can eat. 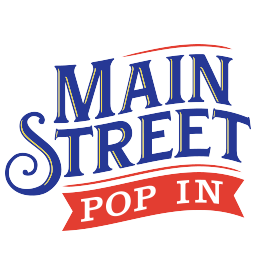 The focus is chicken, steak, and shrimp cooked on a spit-fire grill with Polynesian flavors. Other fan favorites on the menu are the pineapple-coconut bread, pork dumplings, and bread pudding. Stay in the Grand Floridian or a Polynesian Bungalow – The Grand Floridian Resort and Spa and Polynesian Village Resort are as good as it gets when it comes to deluxe vacationing. Both are just a hop, skip, and a jump from the Magic Kingdom. 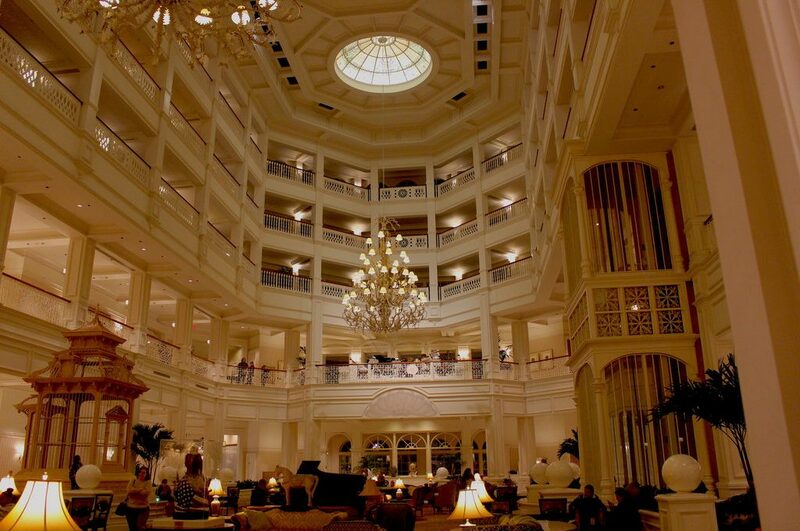 If you like a Victorian-style/country-club type atmosphere, the Grand Floridian may be for you. If you’ve dreamed of staying suspended over the ocean in Fiji, then the Polynesian’s over-the-water Bungalows may be your style. Balloon Ride at Disney Springs – The Aerophile is the world’s largest tethered helium balloon. The balloon lifts a gondola with 29 guests and one pilot 400 feet into the air for a 360-degree view of Walt Disney World and beyond. The cost is $15 for children and $20 for adults. An Amphicar – Another unique Disney Springs experience is the Amphicars, which are located at The Boathouse. The car/boat takes guests from land to sea to land again. The cost is $125 for up to three guests. Tea at the Grand Floridian – Afternoon Tea is served daily at the Grand Floridian’s Garden View Tea Room. Various courses and tea combinations are available. The House-Made Pastries look irresistible. 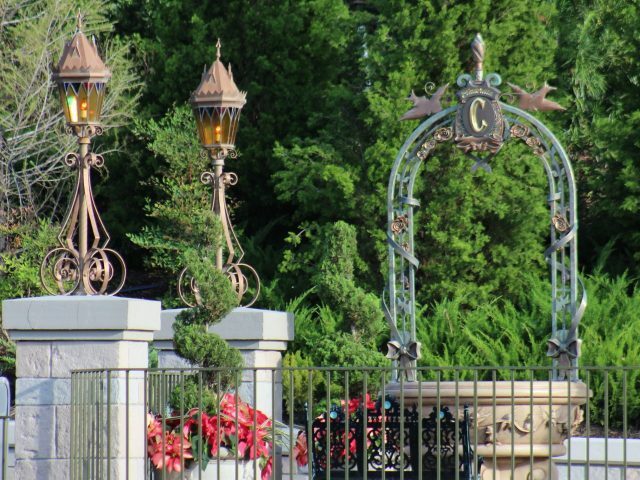 Honorable Mention—because they say it will never happen—is Dinner at Club 33, Disney’s private club and executive lounge. Na’vi River Journey – Another vote Na’vi. Toy Story Land – The Slinky Dog Dash is at the top of this coaster kid’s list. Toy Story Land opens June 30, 2018. Finding Good Pizza and Tacos – We’ll have to explore all the new offerings at Disney Springs to figure out this one. Ride Every Water Slide At Typhoon Lagoon – Typhoon Lagoon offers nine slides for thrill seekers: Keelhaul Falls, Mayday Falls, Gangplank Falls, Humunga Kowabunga, three Storm Slides, Miss Adventure Falls, and Crush ‘n’ Gusher. Ride Every Water Slide At Blizzard Beach – Blizzard Beach has nine slides of its own, too: Summit Plummet, Slush Gusher, Teamboat Springs, Toboggan Racers, Snow Stormers, Downhill Double Dipper, and three at Runoff Rapids. Trying New Foods and Drinks – Preferably poolside. Using the French Quarter Resort’s Waterslide – The Mardi Gras themed pool includes King Neptune sitting on a giant sea serpent, the tongue of which is the pool’s slide. Creating Droids – Kiddos can make mini droids at Tatooine Traders at Disney’s Hollywood Studios or the Star Wars Trading Post in Disney Springs near the Rainforest Café. Kids can choose to purchase the droid creations or leave them behind for someone else to play with. Rock ‘n’ Roller Coaster – Is our “chill” pool kid turning into a coaster junkie? 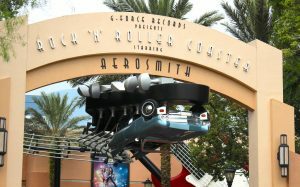 Rock ‘n’ Roller Coaster is an intense, 60-mile-per-hour rollercoaster with two rollover loops and one corkscrew. Guests must be 48 inches to ride and a FastPass is highly recommended. Rock ‘n’ Roller Coaster is pretty intense. The Polite Pig – Disney took notice when a locally owned BBQ joint, The Ravenous Pig, became the talk of central Florida. Thankfully, someone in charge convinced the owners to add a sister spot at Disney Springs, The Polite Pig. BBQ + Bourbon + Quick Service = Heaven. Fans recommend using the restaurant’s online ordering system. Getaway Glen Umbrellas at Typhoon Lagoon Waterpark – For about 60 bucks, you can guarantee yourself a spot with two loungers, two chairs, a drink table, a beach umbrella, and towels. Yes, you can arrive at park opening and probably find a spot just as good for free, but it’s worth trying once. We’ll see if it’s worth the splurge. The beauty of Pandora lives outside and inside the attractions. 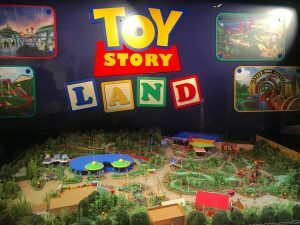 Toy Story Land – Will we finally be able to spend more than four hours at Hollywood Studios without running out of things to do? We’re hoping the opening of Toy Story Land helps that cause. The new land includes a Slinky Dog Dash rollercoaster, Alien Swirling Saucers (oh no, I hope it’s not another Tea Cup ride), and a restaurant called Woody’s Lunch Box. DisneyStyle at Disney Springs – When Disney Parks Blog posted photos of the DisneyStyle store at Disney Springs, I almost got on a plane. The dressing room decor is all Mary Blair. Enough said. Honorable mentions: Satu’li Canteen, A Dole Whip, Sorcerers of the Magic Kingdom. So, there you have it. Our bucket list for our next year of visits. Share what you’re looking forward to in the comments. Thanks for the support! We need to get you there so you can make a list of your own.